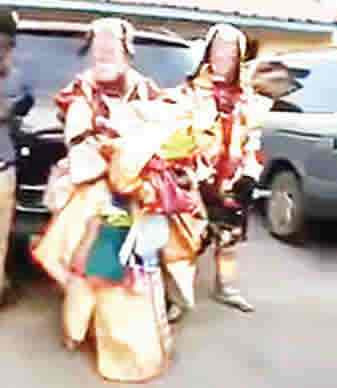 Some masqueraders attacked the Holy Ghost Adoration Ministry, Ukeh, Idemili South Local Government Area of Anambra State on Friday night. Sunday Punch gathered that the masqueraders allegedly invaded the worship ground in droves, beat up members and attempted to whisk away the Spiritual Director of the centre, Rev Fr. Emmanuel Obimma. One person was feared dead in the attack while about 30 others sustained injuries. The Police Public Relations Officer in the state, Nkeiruka Nwode, confirmed the incident. She said three suspects had been arrested in connection with the attack. She, however, denied that the masqueraders attacked the police officers from the Special Anti-Robbery Squad who intervened. Sunday Punch gathered that the masqueraders were celebrating the ‘Uzo Iyi festival. But a personal assistant to Obimma, Mr. Francis Okoye, told Sunday Punch that a Catholic Priest, Rev. Father Henry Nnajiofor, a seminarian and 28 others were injured during the attack on the worshippers. He said, “When the SARS left, they regrouped and came in large numbers to the Adoration premises, beating everybody, including the elderly, the sick and pregnant women.